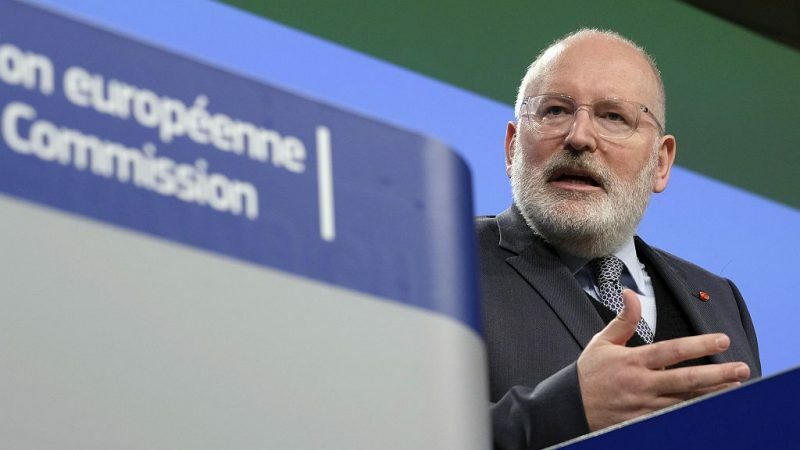 The European Commission is a good example of transparency for other institutions, such as the Parliament and the Council, writes Frans Timmermans. Democracy rests on a bond of trust between citizens and those who represent them. Without proper access to information on what politicians do and to whom they speak, there can be no such trust. The EU institutions are sometimes more transparent than national institutions, but they can and must do more. Making laws requires engaging with many different stakeholders – from NGOs to companies, – and lobbying is a normal part of the policy process. But citizens have the right to know who tries to influence EU laws. They need access to meaningful information. In the Commission, we publish all the meetings of our Commissioners and Directors-General. Moreover, we have held to a very simple but strict rule for over four years now: lobbyists cannot meet high-level decision-makers without having first joined the EU Transparency Register. This is working well, and more and more organisations and companies are registering. Today more than 11,000 of them take part. The Transparency Register is a unique source of information for citizens and civil society. It allows anyone, in a few clicks, to access key data on who the lobbyists are and who they represent, what they do, how they are financed, how much they spend and how many people they employ for lobbying activities. For lobbyists, being in the Transparency Register also means they are committed to abiding by a series of ethical principles enshrined in a Code of Conduct. The European Parliament recently decided to create a so-called “legislative footprint”, by publishing meetings of certain categories of MEPs with lobbyists. That is welcome, but it is not enough. It is only by systematically refusing meetings with unregistered lobbyists that being in the Register will become mandatory for lobbyists, so that citizens have access to all the information they need. The ongoing discussions about upgrading the EU Transparency Register must fix the loophole in the current system. While the “not on the register, no meeting” principle applies to Commissioners, it still does not apply to MEPs or the Council Presidency. In fact, it is still possible for lobbyists who have not registered to meet MEPs or the Council Presidency. The truth is that a Transparency Register that is only voluntary fails to live up to what citizens rightly expect from their institutions. The European Parliament and the Council could easily decide to change this. They should agree to the Commission’s proposal of making meeting MEPs or the Council Presidency conditional on the registration of the lobbyists concerned. Not being in the Transparency Register would then cease to be a viable option for lobbyists. And for those who violate the Code of Conduct, being suspended from the Register would now have a real impact, for they would no longer be able to hold high-level meetings. For MEPs and ambassadors, nothing much would change, except that before meeting a lobbyist they would simply have to check that he or she has registered first, and ask them to do so if that’s not the case. We in the Commission can testify that this has never prevented us from doing our jobs and meet whom we needed to meet. This does not impinge on MEPs’ freedom of mandate, what it does is asking lobbyists to be open on who they are and what they do. Political meetings and meetings with constituents would clearly not fall under those rules. Finally, a mandatory Transparency Register would be good for lobbyists themselves. The overwhelming majority of them – those who do their job honestly and ethically – would only benefit from more transparency. It really is very easy to close this loophole. All that is needed is for the three institutions – Parliament, Council and Commission – to subscribe to the principle of “not on the Transparency Register, no meeting”. It is good for transparency, it is essential for trust.